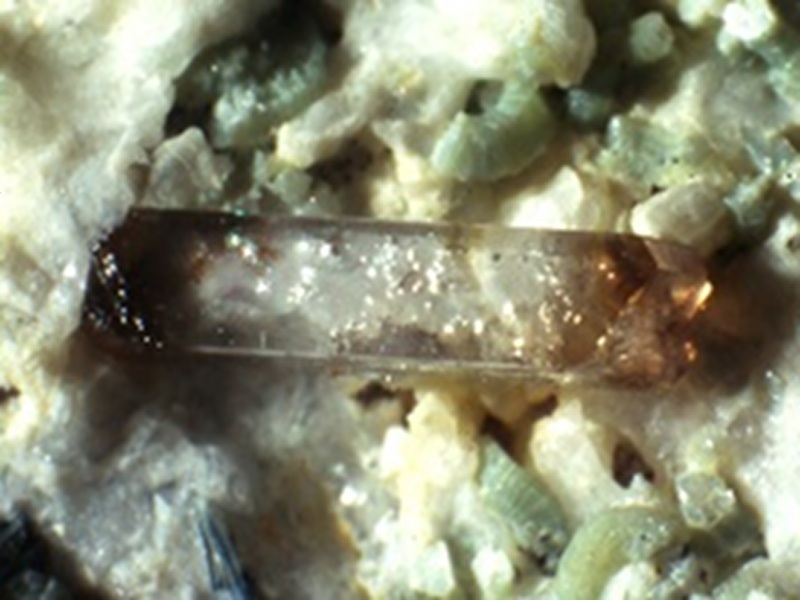 In Liguria the zircon is widespread, as in all other areas, at the microscopic level in the rocks of magmatic origin and their metamorphic products. It 's also possible to collect minutes crystals sifting through the sand deposits of many streams, such as those that go down from the Monte Beigua group, in which concentrates due to the high specific weight. The locations that provided collectible samples are very limited and are all related to ophiolite complexes. A particular note it’s a place in the Voltri Group, which geologically is part of the Alps, although geographically it is located in the Apennines. It is located on the sea side: near the confluence of the river and the rio Malanotte of Gava, in the territory of Voltri at a short distance from the famous garnet deposits have been found, at the dawn of the Ligurian mineralogy (Second World War), magnetite , titanite, apatite and very rare zircons. The site was rediscovered for its geological interest, after an important discovery (Ghia et al., 2001): it is a gabbro vein, of which unfortunately only erratic blocks were found, which was barely touched by metamorphic processes and it has therefore kept largely original lithology, with relicts of pyroxene still visible. Zircons, well shaped and pale pink, are extremely rare and the size is well below the millimeter.